Johann Sebastian Bach composed the Partita No. 1 in B minor for solo violin, BWV 1002, in 1720. 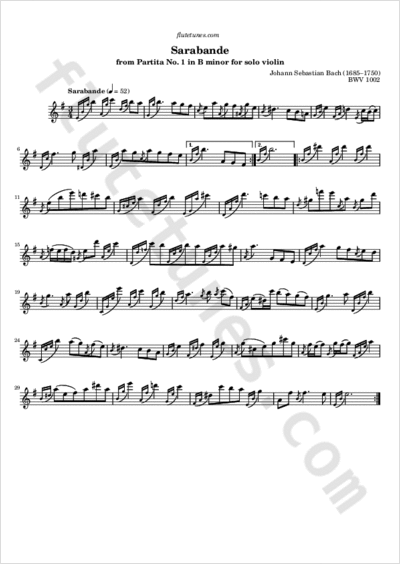 What we present today is a transcription for solo flute of the fifth movement (or third movement, depending on whether you count the doubles as separate movements) of this Partita, the sarabande. In order to fit the range of the flute, the piece has been transposed from B minor to E minor.